You might have heard of “CBD” as a trendy buzzword, but what does it really do? The pure CBD in theseHemp Extract Gummies 30-Count can cure a variety of physical and mental medical problems. Instead of trying a prescription drug with side effects, chew these tasty gummies and treat your health organically. The gummies have been reduced by almost a quarter of the original price in the Daily Caller shop. Hemp Extract Gummies are made from organic-certified, non-GMO, high-quality industrial hemp. The candy-like gummies have been proven to decrease insomnia, anxiety, and depression. If you suffer from muscle and joint pain or are recovering from a more serious injury, Hemp Extract Gummies will ease your discomfort. Try these gummies once a day instead of relying on expensive and potentially dangerous prescription drugs. The gummies contain no traces of THC so they are non-psychoactive and legal. Even if you’re in perfect health, the Hemp Extract Gummies 30-Count can be taken daily like a multivitamin for general wellness benefits. 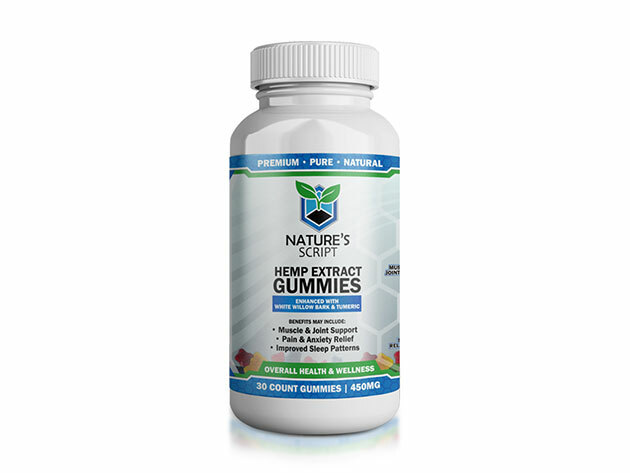 Improve your health the natural way when you buy Hemp Extract Gummies 30-Count in the Daily Caller shop today. The price has been reduced from $59.99 to $45.99. Save an additional 15% with the discount code SEMIANNUAL bringing the final price to $39.09.